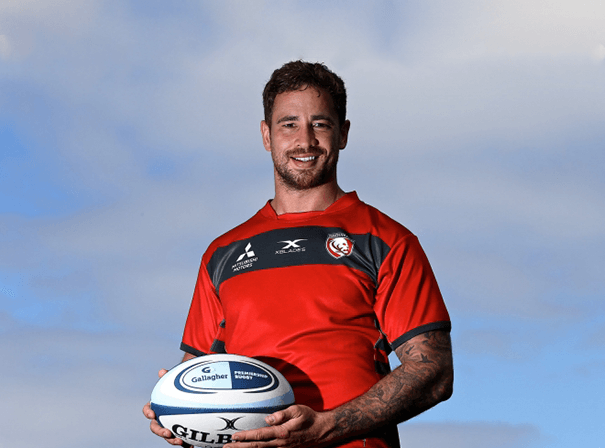 Englishman Danny Cipriani is an English rugby player who was a talented all round sportsman, playing rugby, football and cricket to a high level as a youth. It was on the rugby field that he really shone, though, and he soon began to shoot up through the ranks as a real rising star of the future. It was in 2008 aged just twenty that he won his first England caps, seven in a season, and since then he has been in and out of the team. As someone who loves the good life, Danny has been in and out of the press for reasons other than sport. He has fast hands and feet and is a great reader of the game who played at under 16 and 19 level for England. After a number of injuries and being in and out of the side for various non rugby reasons, Danny decided to go and play rugby down under with Australian domestic side Melbourne Rebels. He had a rather unfortunate time of it and in 2013 returned to England and signed with Sale. It was a real statement of intent regarding him wanting to be back in the England fold and it paid off when in 2016 he turned out for the national side in the Six Nations. Playing at full back or fly half as well as centre, Danny has also played for London Wasps and has now scored 64 points for England in his 14 caps. As of the 2016-17 season Danny rejoined Wasps to play for them in the league.